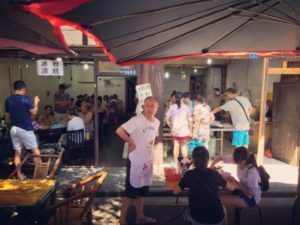 I’ve always been fascinated with food as a vehicle for cultural understanding, and particularly in Chengdu I have found food to be one of the best ways to get to know the city. Sichuan food, in one interpretation or another, is famous around the world but needless to say it’s best experienced here in Sichuan, where it is in its most authentic form. 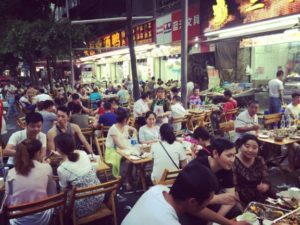 The initial differences between what I found here and what I had experienced outside China led me on a journey of eating and learning to try to understand more about this globally recognized cuisine, its origins and context in history (if you didn’t know, Chengdu was Asia’s first city of gastronomy according to UNESCO). When I founded Chengdu Food Tours, which takes visitors around the city to sample local specialties, this evolved from hobby to full-time job and my desire to learn developed into a desire to share. I was surprised by many things I discovered but also found that people’s appreciation for the food grew with understanding. So, in hopes of helping more people understand and enjoy Sichuan cuisine, here are several things you might not know about Sichuan food. 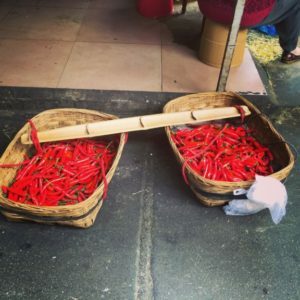 Despite Sichuan Cuisine’s reputation as being unabashedly and unapologetically spicy all the time, the chili pepper is actually a relatively new addition to Sichuan’s ancient, but ever evolving, food culture. In fact all chilis come from South America and were introduced to the China via the Portuguese during the Ming Dynasty. They made their way inland to Hunan, which is still famous for the spiciest cuisine in China. After a government-forced migration a few hundred years ago to repopulate Sichuan after a devastating war, the chili pepper made its way to Chengdu with the Hunanese people who relocated there. 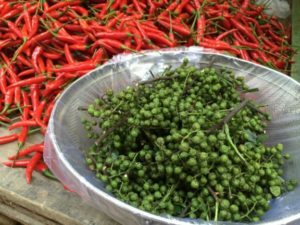 The chili peppers, which in traditional Chinese medicine (TCM) are believed to dispel moisture from the body, ended up not only being a key ingredient flavor-wise, but were a good fit in the humid conditions in the Sichuan basin. It’s the dried husk of seed on a citrus bush – but, unlike the chili, it is native to Sichuan and was the backbone of the cuisine long before the chili showed up. The HuaJiao was banned from import in North America until 2005 because of a citrus virus they could carry. This meant that the Hua Jiao, or “flower pepper” as it is colloquially know here, was rarely available in Sichuan-style food outside of China until very recently. Ask locals about the best restaurants in town and they will undoubtedly start talking about Fly restaurants (or ???? as they are known in China) . While this term has very much come to represent ‘old school’ restaurants that typically place an emphasis on flavor and not atmosphere or decoration, the name doesn’t refer to their lack of sanitation or decor. Instead, the name refers to the buzz of patrons coming and going like flies. Still, in a city that’s quite nostalgic about its food scene, the term is now very much associated with classic ‘old Chengdu’ style restaurants and food stalls that are symbols of older Sichuan flavors, and serve as important cultural institutions. When people think about Sichuan cooking they think about the kitchen – a noisy steamy room, with a chef hovering over a giant wok, flames shooting out from underneath as new ingredients are tossed into the hot oil. This is an iconic image of Chengdu, but by emphasizing the flash fry aspect of Sichuan food it does little to represent the complexity of the underlying flavors. Frying in general is not always considered an elevated form of cooking, because it’s easy and doesn’t allow much time for flavors to emerge and mingle, but in Sichuan many of these complex flavors are created well before they hit the wok. 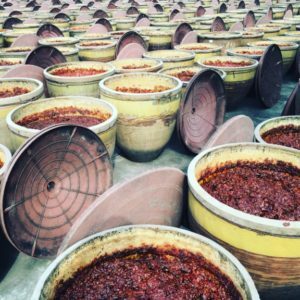 The best example of this is Douban – a fermented broad bean paste (pictured at right, fermenting in clay urns), often combined with chilis, dried and fermented in huge clay urns and hand-turned everyday for months to create a deep, rich, and pungent flavor. Chinese vinegar, and soy sauce are also fermented providing not only salty but umami flavors. The red oil that is the foundation of many dishes is also traditionally handmade by each chef combining crushed chilis and spices (up to each chef) and pouring hot oil on top. Pickles and pickled sauces of mustard greens, chili peppers, or ginger are often homemade ahead of time as well. When added to the hot wok these ingredients which are made over weeks or months or even years, then impart their deep complex flavors into the oil, which lends it to the rest of the dish. Many people seek authenticity in cuisine through the preservation of traditions, and while there are certain dishes and preparation methods rooted deeply in local tradition, Sichuan cuisine owes its success and diverse flavor palate to its willingness to adapt and change. Located historically at an important geographic and cultural crossroads – both the Tea and Horse Road and southern Silk Road passed through Sichuan – it benefited from the different ingredients and cultures it was exposed to throughout history. In that sense Sichuan Cuisine has always been adopting new ingredients and styles and incorporating them into its traditions. This process is best represented by the aforementioned late arrival and near universal application of the chili pepper, but the same story can be told for many ingredients. Other famous ‘traditional’ dishes such as Mapo Tofu were in fact invented only around 150 years ago, this one by applying braising methods usually used for meat to a firmer than normal tofu. Dishes like this have become part of the Sichuan canon, but are also marked by their creativity and their break from tradition. 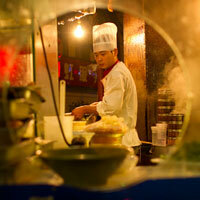 In Chengdu the best, most sought after places to eat are always the most lively. The term ReNao or ?? (sometime seen as ??) directly translates to ‘hot & noisy’ but it is an overwhelmingly positive word. We don’t have any proper equivalents in English that don’t have negative connotations, and while words like lively or bustling scratch the surface they don’t quite do it justice either. To truly understand it, to experience the phenomenon, one must immerse themselves in a sweaty, shouty, hectic hotpot and resign themselves to the situation. Eating in Chengdu is an event and food is something to be shared. Eating out is a form of celebration, even if it is just celebrating the food itself, and places thrive on this energy created by the patrons. Restaurants don’t just get noisy and loud as a symptom of being busy either, this is a celebratory atmosphere many places wish to harbor. To be a part of the action is much of what makes dining in Sichuan so much fun. Have a beer, roll your shirt up over your belly, sweat, shout, and join in on the party. Let us know what you think, and what things you’ve discovered that helped you get under the surface and appreciate Sichuan food. Thanks for this interesting, informative and affectionate look at a topic that means so much more than just great food in this city. As a newbie (I’ve now been here for almost 4 weeks) the meal culture I’ve found in Chengdu has been the thing that’s made me say “Yes, I made the right decision…”. The community spirit is tangible, and is a beautiful thing to observe while enjoying the rich and varied, sensual flavours! Enjoyed the article as usual. A female friend of mine from CD sent me several packages of huoguo soup base which I received yesterday. It isn’t easy to find some brands around here in California. (At least not close to where I live.). So now I’m looking forward to some delicious meals! 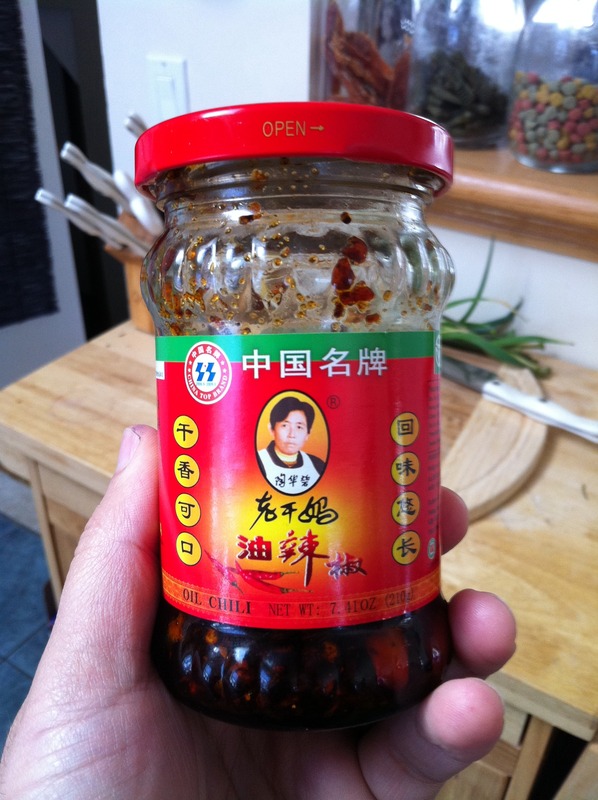 It should be available in Chinese Grocer’s in LA. There’s definitely lots available in Chinatown in Toronto. And once you have the packet, it’s super easy to make. There’s a woman with a street stall on Yu Lin Xi Lu who makes those pancake -like jian bing guo zi. A car pulled up and ordered some. The driver talked to my wife who was waiting to order. He said he drives 30 minutes twice a week just to get this street food (the ones in his neighborhood aren’t as good, he said). That’s commitment to food…. Wow, I have seen that stall but can’t remember ever eating there. I will check it out. I have also noticed some remarkable commitment to finding “just the right thing” among Chinese people when it comes to food. Pretty cool. Almost feel the vibe! Thank you for this peek in sichuan cuisine. Thanks Herastrau! Hope you can come feel the vibe some day!